What’s on in Port Douglas during Spring? Top things to do in Port Douglas. What’s on during September, October and November in Port Douglas? If you’re planning on spending some time in the tropics during Spring, we’ve got your visit to Serenity Port Douglas covered with our run down on events that are happening in the area. Many of the local pubs have live entertainment including The Central, Paddy’s Irish Pub, the Court House Hotel and the Yacht Club. Sunday sessions are very popular in the tropics and offer a chance to mingle with the locals. Barbados Port Douglas has Tropical Tuesdays and for something different, cane toad racing is a regular event at The Ironbar. Fashion parades, a GALA dinner, fashion swaps and so much more, Port Douglas is swamped with budding designers during Eco fashion week. Under the Raintrees in Foxton Avenue is the famous Mossman Market where you are bound to find some treasures. You can also pick up fresh, organic local produce. Showcasing work by local filmmakers, films are shown in the stunning Rex Smeal Park. Starting on the sands of Four Mile Beach, Olympic marathon champion Steve Moneghetti has dubbed this as “the world’s best adventure course”. The Great Barrier Reef marathon has become one of the ‘must do’ events on the Australian Running calendar. There’s also a half marathon, 10km, 5km and a kid’s challenge. After you have achieved your PB, you will deserve to relax at your Serenity Port Douglas accommodation – the pool will look so inviting! Enjoy the food culture and lifestyle of Tropical North Queensland with the best chefs and industry experts in the country. Port Douglas transforms into a foodies paradise with a packed program of dinners, tastings, chef demonstrations and master classes. The Festival Village at Rex Smeal Park offers free entry and non-stop foodie activity. Serenity Port Douglas Accommodation is a great base for many of the events held in the region. 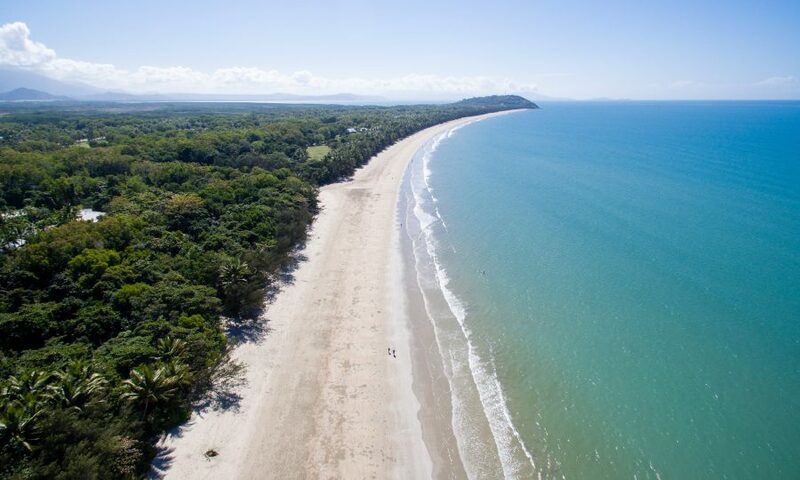 And if this list isn’t enough to make you visit Port Douglas in Spring, what if we told you the weather was amazing and it’s our favourite time of the year! Check availability for Port Douglas Accommodation.